Our mission for the #CEOct Global Kickoff October 1, 8-9 pm, around the world? -- To share our personal journeys to becoming connected educators. +Shane Asselstine, +Michelle Carlson Colte, +Michael Fricano II, and I represented the many connected educators in Hawaii for this world-wide event. 2. There is always something new to learn. Look for it! 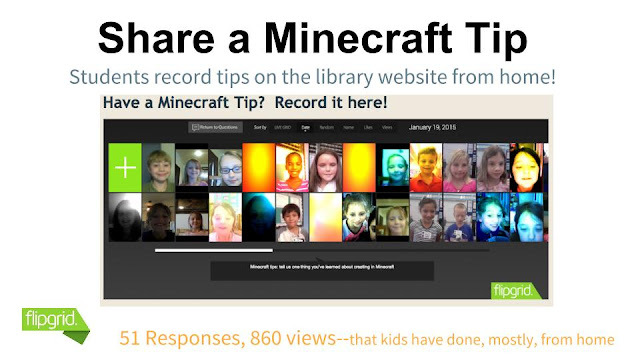 Michelle, who firmly believes in giving students a voice, shared a neat project: students recording Minecraft tips on FlipGrid. Listen about it HERE. Isn't that the coolest idea? Here's the show in its entirety. 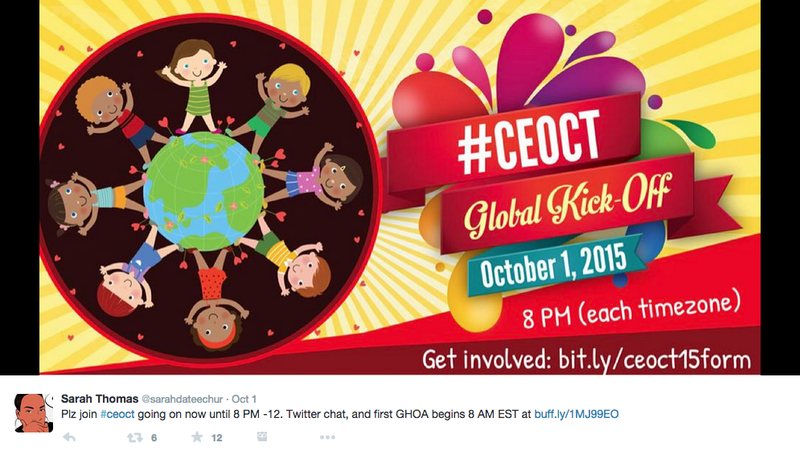 Mahalo to my #GTANY friend +Regina Schaffer for the opportunity, and to the organizers of the #CEOct Global Kickoff: +Tammy Neil, +Sarah Thomas, and +Jessica Raleigh. October is Connected Educators Month and there are so many activities to choose from to feed your spirit. Check out the schedule HERE.